This Federal style building has two stories, an asphalt shingle roof and is intact. 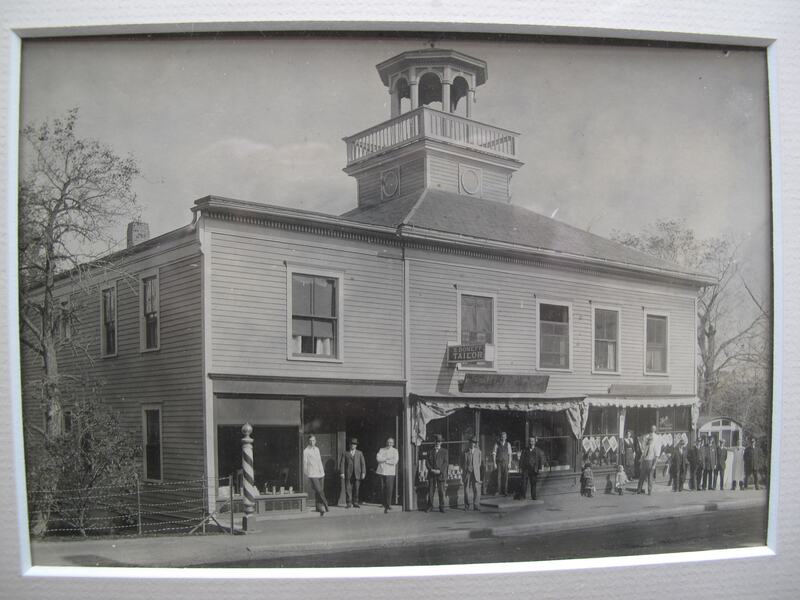 It has a three-bay center entrance; six bays deep; wood frame; front gable roof w/dentiled pediment; bell-tower at front of gable peak with a tall, square, balustraded base with large clocks on front and rear sides (clock replaced in 1899). It has Palladian window on left (West) side, topped by an octagonal belfry with Roman-arched vented openings and smaller balustrade and an octagonal cupola with bell-shaped roof and weather vane atop it. 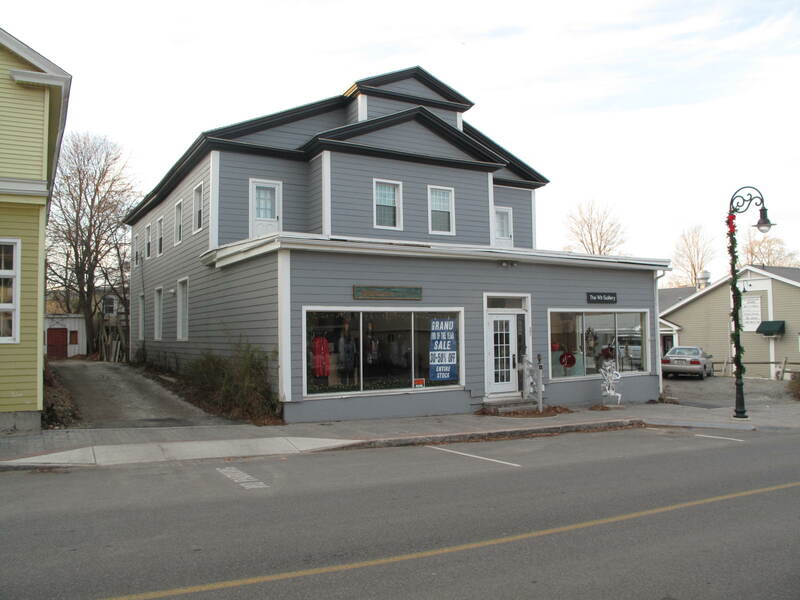 It has wood clapboard siding; corner pilasters; 1-bay wide. The entrance pavilion is one-bay deep with dentiled pediment, corner pilasters; Palladian window with tracery, door surround with pediment (short returns), modillions, entablature, paneled pilasters. It has double front entrance doors, wood paneled w/small window high up on each. The two-story square apse on rear facade has a rose window. There is a brick right side wall chimney and an exposed brick left side wall chimney. There are 12-over-12 windows with molded window headers and authentic window blinds. The foundation is large cut stone. 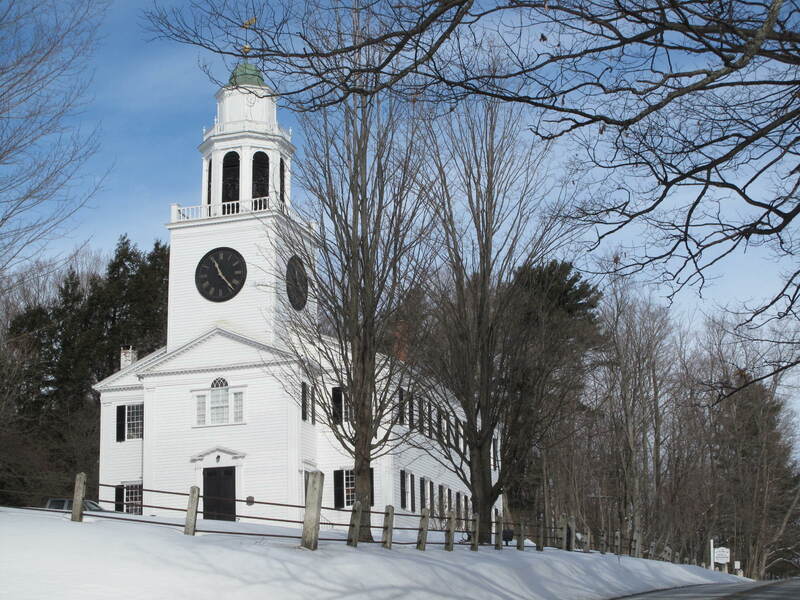 In 1803, a special town meeting was called in Lenox, and it was voted to begin construction of a new church to replace the meeting house which had been built about 1770. The new church was to be built on or near the same site. The church was completed in 1805, and on the first day of 1806 it was dedicated in a service led by Rev. Samuel Shepard. 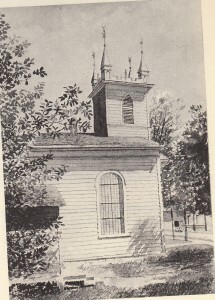 As the official town and state church it held an important place in the political and social, as well as religious life, of Lenox. 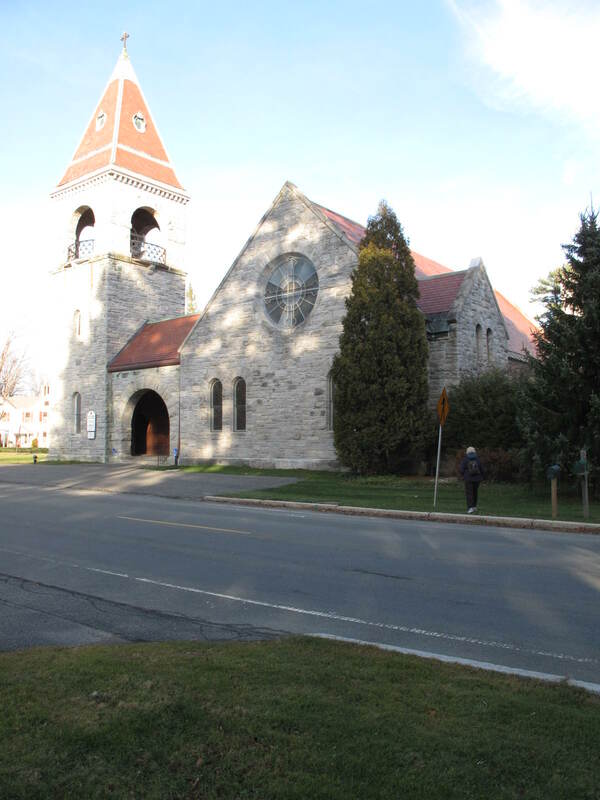 Although other churches were incorporated in the early nineteenth century, and their members exempted from paying taxes to support the Congregational Church, this church was not disestablished until 1834, and even then it retained its important position in the town. 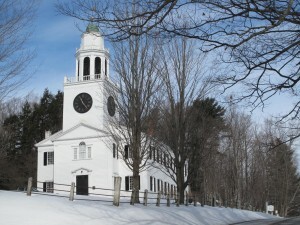 “The Church on the Hill,” as it came to be known, was prized by visitors to Lenox for its picturesque beauty and its embodiment of New England tradition. Guide books never failed to mention it, and its white steeple became a landmark visible for miles around. 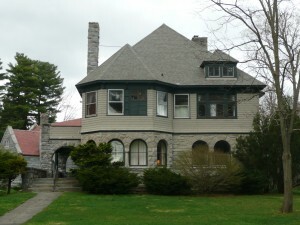 Even the wealthy summer residents who belonged to the Episcopalian Church took a special interest in the Church on the Hill, and contributed to its restoration. The Church on the Hill was listed on the National Register of Historic Places Sept. 30, 1982. 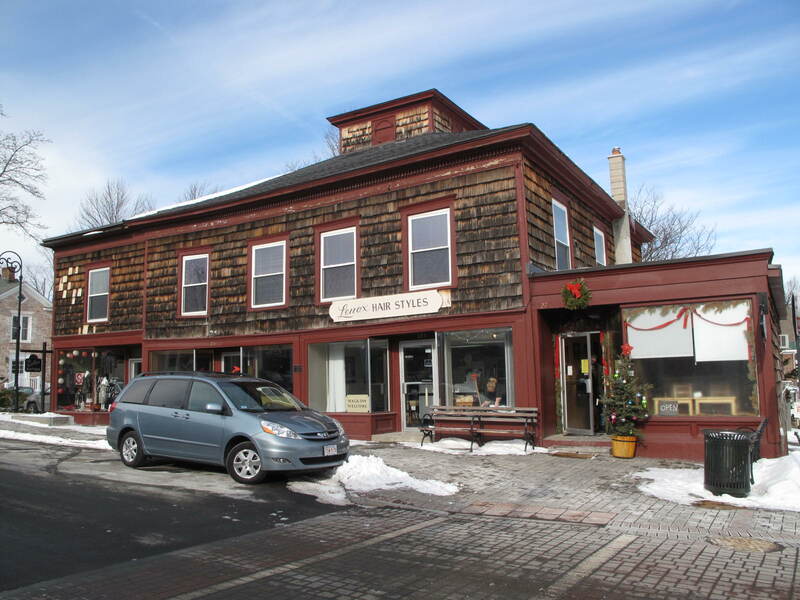 This undetermined style building has two stories, an asphalt shingle roof and has been altered. It is a wood frame building with small dentils along molded cornice; hipped roof; 3-bays facing Housatonic St. façade at 2nd floor and a rear wall chimney on North side. Built in 1791, this building originally stood just west of the present Town Hall. 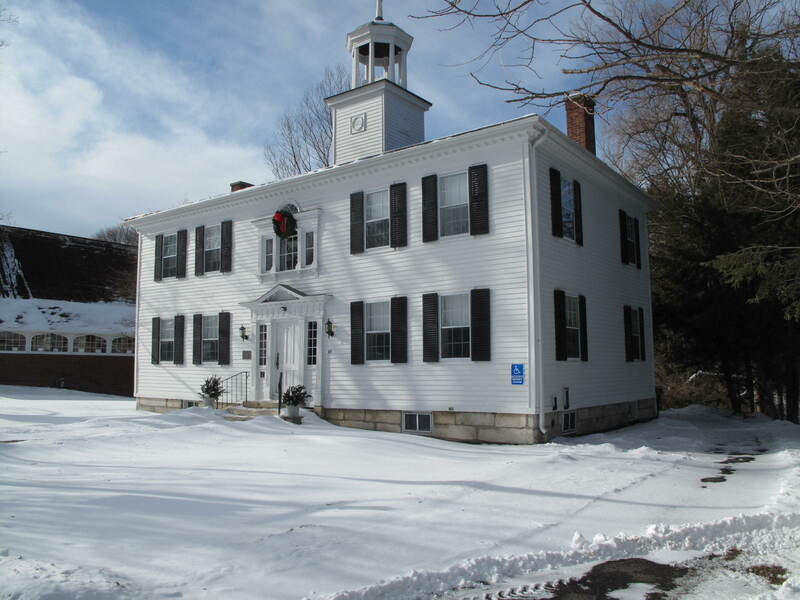 This was the first County Courthouse, built several years after the county seat was moved from Great Barrington to Lenox in 1784. 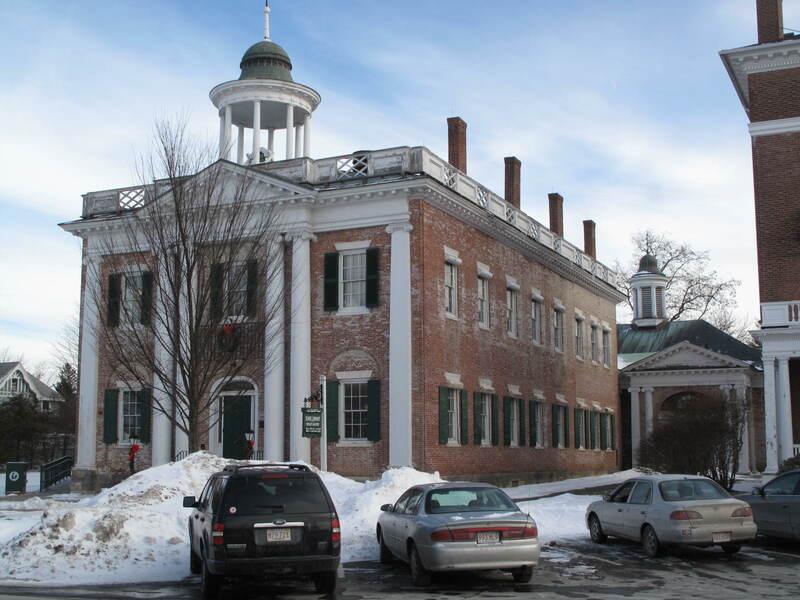 When the new County Courthouse was built in 1815 (now the Lenox Library) this building became the Town Hall and Post Office, and remained in that capacity throughout the 19th century. 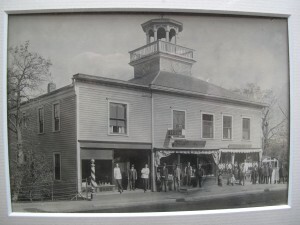 In 1901 the present Town Hall was built, and this structure was moved two years later to its current location by Thomas Post. 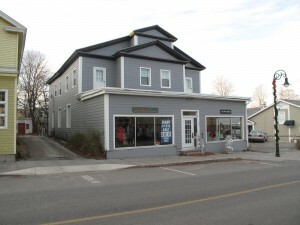 George Therner purchased it shortly thereafter for use as a business block and apartments. The property was purchased by Fares A. Khoury on April 5, 1972 and then by Jean Kelly Troiano on October 31, 2007. 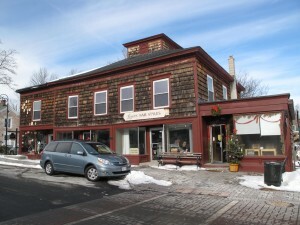 This Romanesque style building has two stories, a red slate roof and is intact. It has asymmetrically organized facades with an irregular footprint. The main section (nave & narthex) has a 3-bay wide front & is 6 bays deep. The masonry construction of rockfaced dolomite is laid up in a random pattern with brownstone used for trim. The gable roof (45′ to peak) with parapet walls at the gable ends covers the nave and narthex sections. There is clay tile roofing throughout. The 3-story square tower located Left (North) and forward of nave has a dentiled band at the cornice, Roman-arch openings in the belfry with bulbous metal balconettes at each, and a hipped roof with a grey slate band and an elaborately trimmed oculus on each side. It is capped by a copper tip and cross. The tower is connected to main church by a porte-cochere with a gable roof and Roman-arched opening. There are Roman-arched stained glass windows and a large Tiffany rose window in the gable peak of the front (West) façade. The polygonal narthex with a hipped roof on the East facade has double windows (stained glass & plain). There is an exposed stone false chimney on Right side, South East corner that surrounds a Roman-arched window. A cross gabled transept (chapel) extends to the North from the nave with rear cross-gabled extensions house the choir room; a shallow gable-fronted entrance, with paired Roman-arched windows, extends from the South West corner of the narthex. OBJECTS: a naturalistic rock monument with a bronze plaque, “The ‘Gramps’ Howland Field” 1961” (contribution); an obelisk signpost at the corner with directional arrows, poem & sundial c.1910 (contribution). The church is listed on the National Register of Historic Places, February 26, 1996. National Register nomination correctly places the church in the Romanesque style category. The building designed by Charles Follen McKim (McKim, Mead & White) was commissioned by Trinity Church. McKim’s designs went through four sets of revisions followed by a fifth set, modified by Col. Auchmuty with the help of James Renwick (Renwick, Auchmuty & Sand). This process took four years and the final plan implemented was called the “porch plan”, which survived only in Auchmuty’s report, unlike McKim’s four plans, which are preserved in the Parish records. Auchmuty’s additions and changes included the change of the porch entrance into a narthex for inclement weather, the large rose window in the west gable peak, the use of local rockface bluestone in place of fieldstone, and the removal of irregular string courses and dilapidated buttresses. Auchmuty was in charge of constructing the building, raised the funds, and was the largest contributor. Thus, a memorial plaque names him as the architect of the church. The cornerstone was laid in 1885 by Reverend Justin Field, assisted by the former US President, Chester A. Arthur. Many other noted craftsmen worked on various parts of the church , such as Tffany and Co. which created many of the original windows; William Brockelsdy of Hartford who designed the chancel; and Bartlett Bros. who laid the main roof. In June of 1888, the congregation moved from its original site on Church Street to the new Trinity Church at the intersection of Walker and Kemball Streets. The consecration was performed by Bishop Paddock of Massachusetts and Bishop Potter of New York, with the choir from the Church of the Advent in Boston, the Rector, Reverend Justin Field, and the congregation (largely made up of summer residents who had donated generously to the construction of the church). The old church was memorialized in the new by relocation of memorial plaques and reuse of the pews. In 1899, there was a choir Room and Sacristy added to the church. 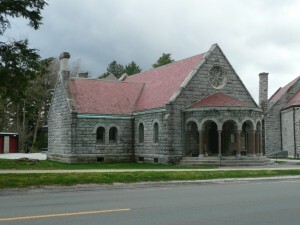 It was donated as a memorial to Sarah L. Lawrence, daughter of Charles and Sarah Lanier, who had donated much to the construction of the church as well. 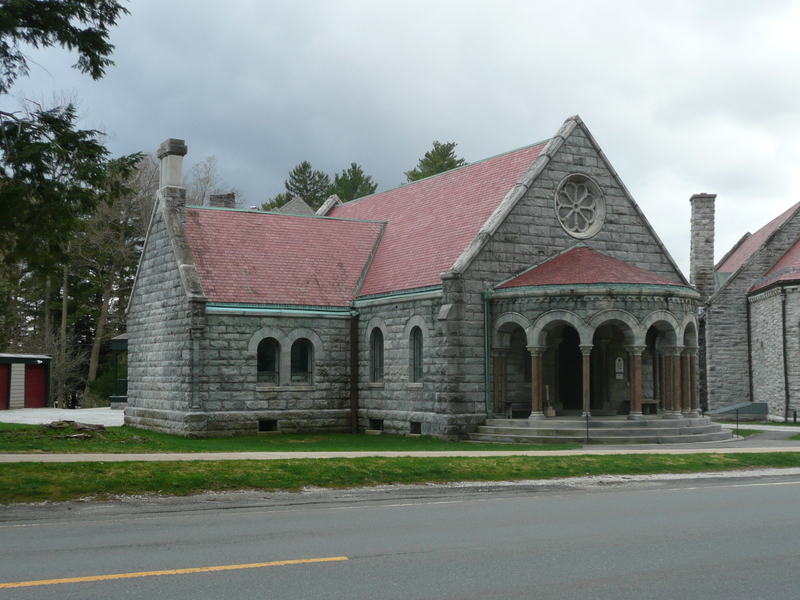 Trinity Church had a congregation drawn primarily from the wealthy summer residents of Lenox, and this building was funded by them. The list of donors reads like a “Who’s Who of 1888”. Included are the Misses Appleton, R.T. and Mrs. Auchmuty, J.S. Barnes, D.W. Bishop, Mrs. Biddle, Miss Biddle, W.H. Bradford, H.W. Braem, Mrs. Ellison, Mrs. Flint, George W. Folsom, C. Field, the Misses Furness, R. Goodman, Mrs. Green, Mrs. C.G. Haven, Miss E.S. Jones, Mrs J.I. Kane, A.C. Kingsland, Mrs. Kneeland, George Kneeland, Mrs Kuhn, C. Lanier, Miss Mason, Mrs. W.B. Ogden, R.S. Oliver, J.E. Parsons, Mrs. Edward Parsons, Miss Parish, Mrs. M.O. Roberts, W.R. Robeson, J.O. Sergeant, Mrs. W.D. Sloane, Mrs. R.G. Shaw, Mrs. I.F. Schenck, Miss Taintor, John Thompson, and R.C. Winthrop, Jr..
Trinity Church, thanks to its illustrious congregation, acquired a reputation outside of Lenox and the Berkshires. A 1900 article in the New England Magazine stated that, “the church is visited by pilgrims from far and wide; for few cities can boast churches of greater beauty”. The same article offers another reason for trinity Church becoming a stop on a sightseeing tour; “At the Lenox Episcopal Church in the summer one can see more wealth represented than in any other church in the land, lest it be Trinity in Newport”. 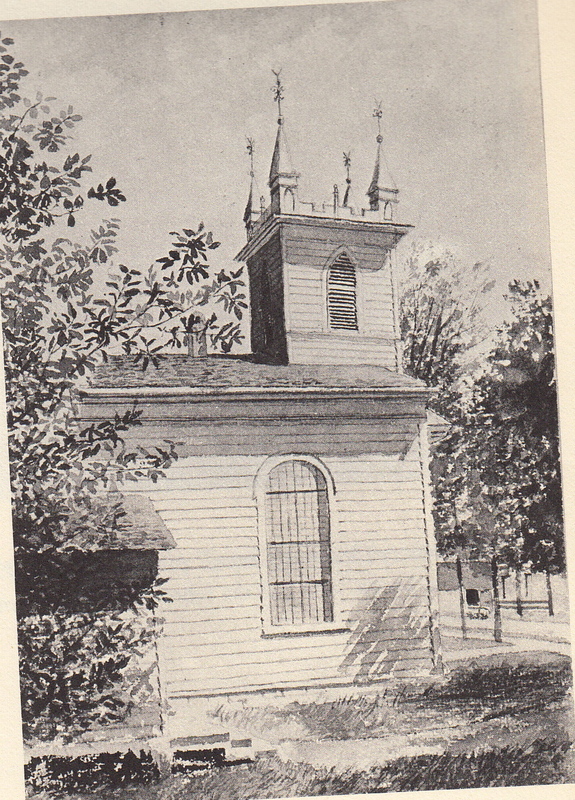 Trinity Church also had a stable year-round congregation, and even after the wealthy cottagers stopped coming to Lenox the congregation remained active in the community. Trinity Church, Lenox. John Allen Gable, 1966. National Register of Historic Places, February 26, 1996.